Residential and Commercial roofing on time and within budget. Roof Replacement and more…Our project managers and installers are highly trained and very experienced in all aspects of construction, remodeling and repairs. Roof Replacement typically happens out of necessity. In some cases a roof will fail naturally because of its age, but often times severe weather in the form of hail or wind will cause roof damage to the point that repair is not an option. To determine why your roof needs to be replaced, contact 33 Carpenters Construction and we will send out a highly trained and HAAG Certified Roofing Inspector to meet with you and give you his professional assessment. 33 Carpenters Construction is an Owens Corning Platinum Preferred Contractor and is a licensed roofing contractor and general contractor. 33 Carpenters Construction has provided roof replacement and roof repair for individual home owners as well as condominium complexes and apartment complexes. We have replaced the roofing systems for many commercial and industrial buildings also. 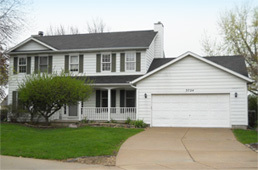 If your roof needs to be replaced because it has hail damage or wind damage, or if you think it is time for a new roof because your existing roof is old, then contact 33 Carpenters Construction today and one of our HAAG certified roof inspectors will meet with you and help get the process started. 33 Carpenters Construction offers a 50 year non-prorated warranty on every roofing project. Contact us today for your free estimate and meet one of our trained professionals that can assist you with all of your home improvement needs. At 33 Carpenters Construction, we are dedicated to improving every community we are given the opportunity to impact. We provide unmatched levels of service and support to Property Owners, Associations, Developers and any person that has an interest in ensuring their property needs are taken care of. We strive for complete customer satisfaction on every job and work to keep the disruption of your day to day business operations to a minimum and ensure that each job is completed in a timely manner and on budget. As experts in the industry, we can make property repairs quickly and efficiently bringing minimal disruption to your business or for your tenants. 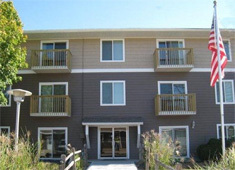 We can customize a property management program to fit your needs and budget. Call us today for more information on how we can help you.